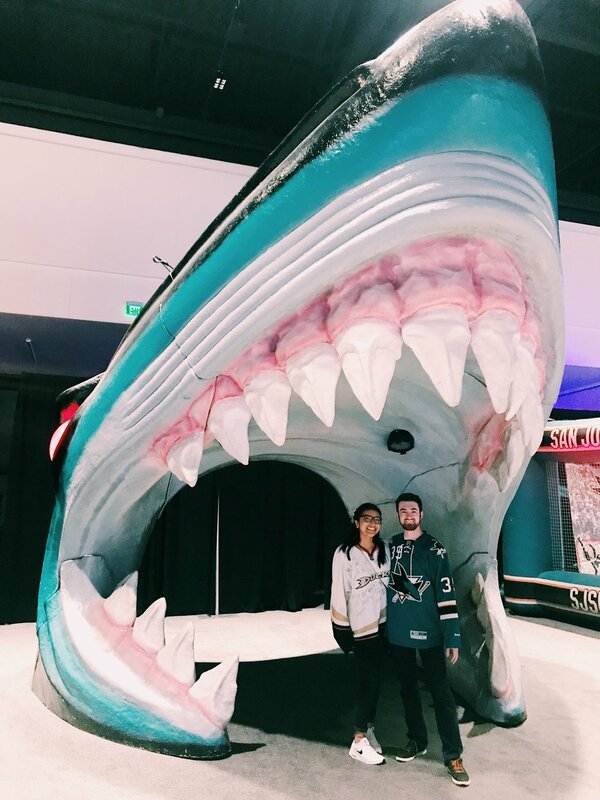 My star-studded All-Star weekend experience told through some memories I captured along the way. I finally got to cross one of my life goals off of my bucket list. Yes, attending an All-Star game was one of my life goals. A weekend full of fans from different cities, representing different jerseys and all of us with one thing in common, our love for the game. 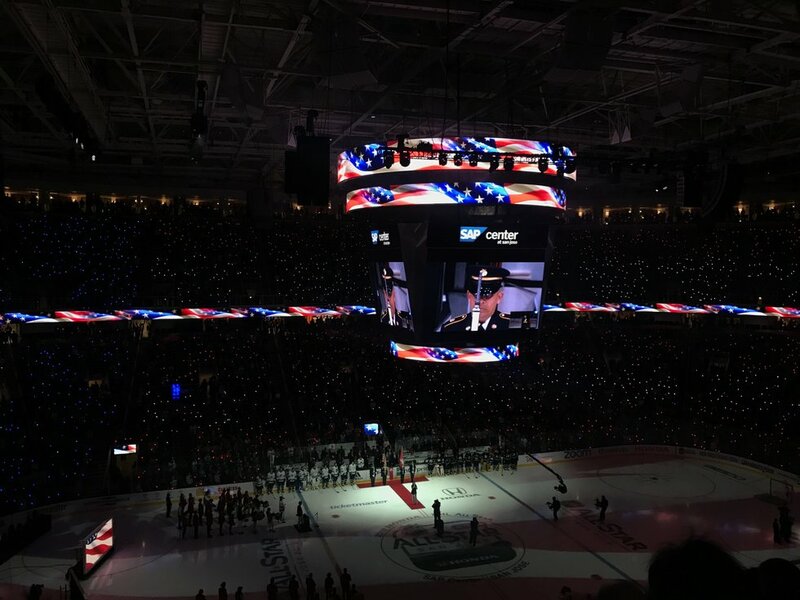 In this case, it was 2019 NHL All-Star weekend in San Jose, California. An All-Star game with a bit of importance because it would be in my home state. 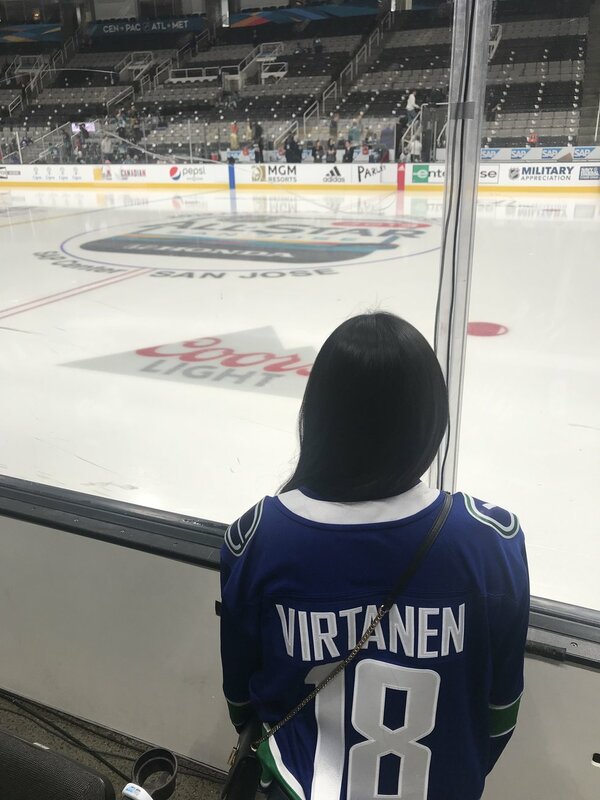 Here is a photo journal of a weekend that I will never forget, and hopefully won't be the last of my long list of All-Star games I attend. There's nothing quite like attending this event without your other half that loves and appreciates the game as much as you do. There's also nothing like being in your boyfriend's hometown and having your own personal tour guide. And while we did get a lot of looks and questions of as to how and why we are even dating when we root for rival teams, let's just say that it gets a bit interesting when our teams play against one another. Do you want to know what's cool about being a fan of an opposing team in a rival town with the Stanley Cup in it? The fact that you can touch one of the most beautiful trophies in all of sports because your team has actually won it before. Unlike the host city fans that haven't been able to experience that feeling yet. 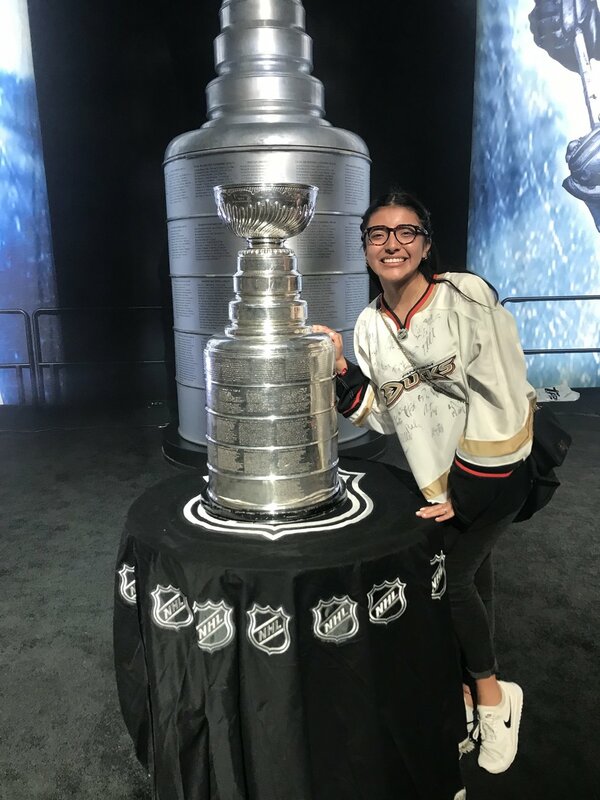 Yes, it was great to be reunited with Lord Stanley because who knows when my team will win it again. Always represent your team with pride. Even if you are one of the ten fans representing that team over the weekend. It's even better when the name on the back of your jersey is the player people most people would never expect to see on the jersey. So, even if it means that I am that only fan cheering from the top of my lungs for our only team representative, then so be it. 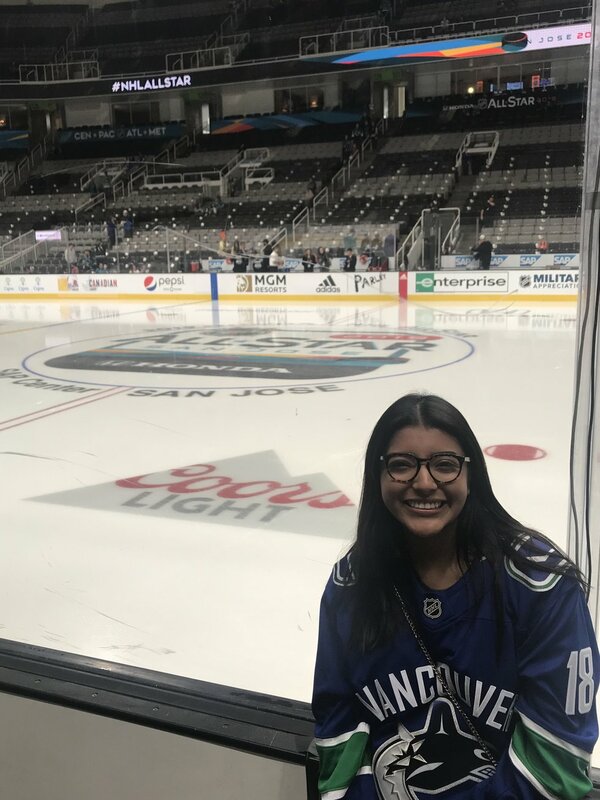 A cheesy picture with a cheesy smile in front of center ice. 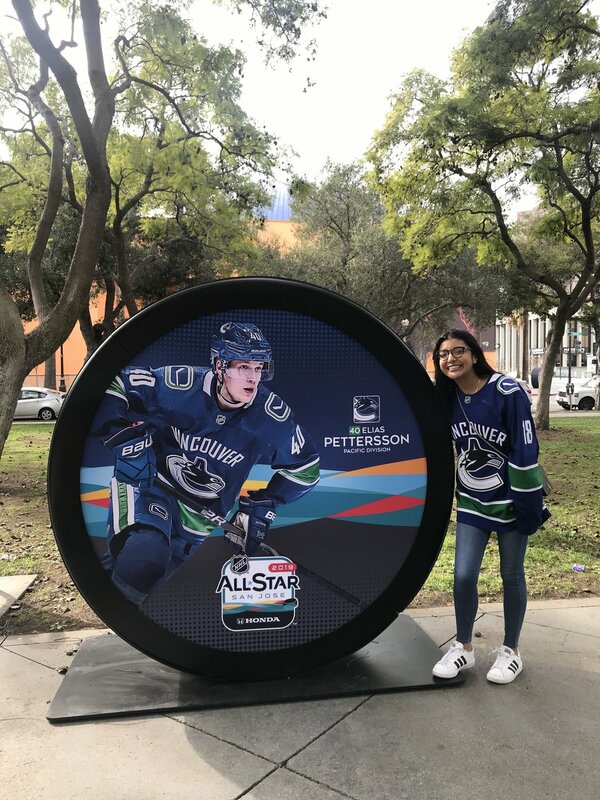 I mean, did you really go to an All-Star game if you didn't take a picture in front of something that said so? Exactly. There's also nothing better than showing up an hour or so before game time to watch warmups, which is a tradition I have with almost every sporting event I go to. If I'm completely honest, I think I cried a bit at some point during warmups. You reach a point where everything just feels surreal and you simply can't believe that you are actually living in that moment and that this is actually you are experiencing this. These are players you don't get to see every other hockey game, these are big-name players that you only see on television and when they are actually in front of you, it just makes you feel something special as a hockey fan. This picture simply does not do the sight justice. Listening to the national anthems with thousands of light up wrist bands lighting up in the nation's colors. It's a sight that I will probably never forget. And even though that wrist band turns on with every little bump, it will stay as a small reminder of me losing my voice from yelling at my team for losing 10-4 against the Central Division with my favorite goalie in net. But now when I look back at this picture, I will be reminded of the beauty of the game. While my favorite player wasn't in the All-Star game and has never been in one, I guess I can only dream of him eventually being a part of one. And it doesn't matter to me whether he's there or not, I will always keep on supporting him. Even if I do get weird looks and comments from people. At the end of the day, it isn't about how good a player or team is, what matters is the love you have for the game.